Our display of products is an invitation and not an offer to sell those products to you. An offer is made when you place the order for the item(s) required. We will not have made a contract with you unless and until we have accept your offer as to the terms listed below. 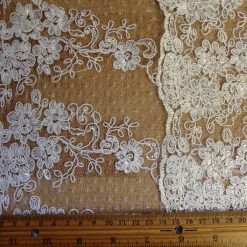 It is advisable that you place a request for a sample prior to ordering any fabric products in specified lengths. If the fabric has been cut to a bespoke length, to your requirements, we will not take the cut fabric or trimming back. Once you have placed an order, if you enter a correct email address we will send you an order acknowledgement email and order update to confirm all relevant details. If you do not have sample and you purchase from us unseen, you have agreed to our terms. Payment will be taken and your card details checked and verified using our secure server. In the unlikely event we cannot fulfil an order, a refund will be issued and the buyer notified. We reserve the right to refuse a transaction of any products advertised on this website. This may be due to the product you ordered being unavailable from stock, the inability to obtain authorisation for your payment or the identification of a pricing or product description error. We may offer you alternative options and ask you whether you wish to purchase other products we may have available or the products which may have been dispatched to you in error. If so, your order will be amended, otherwise we will treat any order as cancelled and any incorrect products dispatched will be collected for full refund. Prices displayed on this online store are only available online. They are not available in our branches. Payment may be made by the methods indicated on our website. When doing Click and Collect you must bring your photo ID, for example a driving licence or valid passport along with the credit/debit card you paid on. If you have paid by Paypal direct you must bring a copy invoice which you will receive via e-mail and your photo ID. We will text you or e-mail you to inform you when your order is ready to collect with a reference number which you should take with you, in order to receive your goods. We will only hand out goods to whom ever placed the order, exceptions will not be made. The order will stay in the branch for up to 2 weeks and if it is not picked up within that time it will come back to our head office and the customer must pay the postage charge in order to have it sent to the required address. These orders are not refundable and if not collected, we can not offer a refund. These have been bespoke cut to your requirements. Please remember when you order fabric on rolls they can be heavy. It is up to you to be able to carry them. We can not help you to your car, but we will advise you if we think you should have someone accompany you to help. Some Branches have back doors so after you have come in, you can collect from the service doors. Please ask when you order or pick up. There is something missing for my order? We often send out orders in several different packages, so these may arrive at different times. If your parcel is more than 2/3 days after the estimated delivery date, please contact our customer services team here. I have received a faulty/damaged item? Please accept our apologies and contact customer services here. Can I exchange an item instead of a refund? 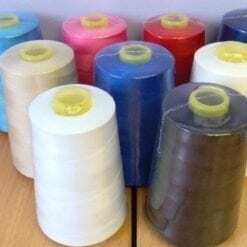 Unfortunately we do not offer exchange or refund on fabrics or trimmings which have been cut to a specific measurement or order unless damaged or faulty. Please contact customer services for further information. Please contact customer services and we will do our very best to help. My order has been cancelled. Please accept our apologies. We try to get as much choice as possible onto our website, and occasionally we have to cancel orders when we have sold out of the relevant product. We are working hard to avoid this happening. I forgot to apply my promotional code? Sorry, but we cannot add discounts to orders once the order is confirmed. Please log onto your account where you will be able to access the status of your order. Sometimes things do go wrong, and if your parcel has not arrived as expected please accept our apologies. If your parcel is more than 3 days after the estimated delivery date, please contact our customer services team here. If you chose Next Day Home delivery please contact the customer service team if your item(s) do not arrive by the date specified on your confirmation email. My product is not available online, do you have any more stock in the selected design? Our online offers represents the vast majority of stock in the company, so stock items / fabrics can get very low/limited. This is because we regularly refresh the range of products we sell, so products can and do sell out quickly. Our stock availability is regularly refreshed to show the most up-to-date information. At the time of your purchase, availability will be confirmed. We are continuously working with our suppliers to ensure that there is enough stock to meet our customers demand for the item. If the item is currently out of stock you may wish to come back to our website at a later date. As soon as more stock becomes available the site will be updated accordingly. My product is out of stock online, can you tell me if it is in my local store? We are currently unable to offer this service. Low levels of stock and out of stock items are a result of regularly refreshing the range of products we sell, so products can and do sell out quickly. This service is only available for bulk quantities of regular stocked items and a non refundable deposit will be required. Please contact customer services for further information. What is a Back-order item? Back-order items are products that we are awaiting stock. By ordering a “Back-order” item you are pre-ordering the product. The item will be despatched when stock arrives. If ordering Back-order items with other items that are in stock, the order will be held and sent all together. If you require the order to be sent ASAP, a separate postal charge may be incurred. I’ve got a question about a product, who can I contact? 3. Returned goods must be sent requiring a signature from the seller/sellers representative to confirm receipt as title for ownership shall remain with the buyer until such time. Please note we do NOT accept returns of fabrics or trimmings cut to order and recommend ordering samples prior to purchase of cut lengths. 6. We will not take your fabric back if you wash it badly .As you are the manufacturer all tests relating to the fabric is your responsibility, we sell hundreds of metres of fabrics, we can give you a guide line, but as the manufacturer all tests for suitability are your responsibility. 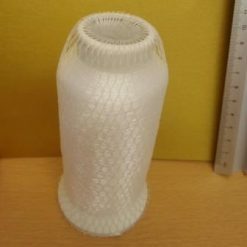 Cut a small sample before use, wash by hand cold or wash in machine. 7. I have kept my goods for a long time period, and I have found a fault. Can I return it? The consumer contract regulations are there for the customers protection. We do advise that customers check through their fabrics/trimmings before they are used, even if the customer is not planning to use them for a while. Once fabrics and trimmings have been cut by the customer, we can not offer an exchange or refund, even if the items are faulty. We also advise customers to check their goods as soon as possible, just in case the faulty item is no longer in stock and we can not replace it for the customer, as they waited too long. If the order was placed months before the customer contacts us about faulty fabric, we do not have to offer a refund. Once your return has been authorised you can return items to us via Royal Mail. Items returned by post can take up to 10 working days to reach us once you have posted the parcel. When your refund has been processed it can take your card provider 3 to 5 days working days to credit your account. If in doubt, please call our customer services line on 01425 461444. In order to avoid unnecessary delays in processing your refund, ensure you use the correct address below Fabric Land Ltd, Unit 3, Fabric Towers, Kingfisher Park, Headlands, Salisbury Road, Ringwood, BH24 3NX. If it is sent to the wrong address, it may delay your refund. Once your Return has been authorised, as an International customer, you can return your parcel using any postal service. We ask that you obtain a proof of postage receipt so that if your parcel goes missing on the way back to us, you’ll have proof you sent it. It can take up to 21 working days (excluding weekends and public holidays) for your parcel to reach our warehouse in the UK. Once we receive it in its original condition, we’ll issue your refund within 1 working day and drop you an email to let you know once this has been done. Once you’ve been refunded, it can take up to 10 working days for the funds to show back into your account.